In all forums in which I am present lately, repeated ad nauseam that the future of the hospitality industry goes through an increasingly professionalized management. But it seems that sometimes, this statement goes unheeded and that this type of management is unique to Michelin star restaurants, when it clearly is not true. All hoteliers should provide the means to "get the stars of its customers". Fortunately, in hospitality took a few years in which every time the customer more especially cares, this is understood in its broadest meaning. From the staff caring, the decoration, Local music and of course as, the product, all that surprised him and Create loyal. But we still have a long way to go in terms of management for client understanding. The objective is to know that happens in our business, not have a mountain of data we do not know they mean to or I can serve. We must be able to translate these data into information, and eventually that information into knowledge. Thanks to technology, We have in our hands the greatest source of information about our business: TPV or POS terminal, where it should be picked what we buy, what we sell, When we sell, how each product is combined, or what margin we get with each dish or each sale. Yes, besides, TPV is in the "cloud", Not only can see all this information without being present on site, but it will also allow us to compare them with the average of the market in which we compete, offering a clear view of our competitive position. It is not manage what is not measured, You manage sometimes confused with "bailing" ie, go solving problems as they arise, when in reality, PASSING involves managing, that is to say, anticipate and act so that it will not come to that situation problem. Must be detected and monitored indicators that determine the health of our business, and of course be able to correct, Modify, increase and predict the behavior of our company. We must obtain the necessary data, and turn it into information to anticipate. The growth path is hospitality, for sure, professionalizing it and work increasingly oriented management. Why should not to overlook the opportunity to improve our business. 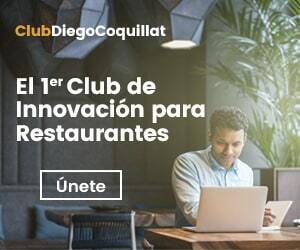 currently the FEHR (Spanish Federation of Hotels) Hand IRI (Market research experts and technology) They have launched the project “Horeca Live”, which provides completely free of charge to restaurateurs a POS next generation (in the cloud) to help them manage and professionalize their business. In return, FEHR authorizes the landlord to add their data to use in generic reports on consumer market. So, if you are restaurateurs who are already aware of what information and knowledge can contribute to the development of your business, I encourage you to contact FEHR, or IRI and you enroles in the "Horecalive" project. Bachelor of Business and PDD by IESE. More than twenty years she dedicated to promoting the development of enterprises. Deep convinced of the use of technology as a facilitator and as a way to simplify processes. Teacher and vocational trainer. Lover ski and mountain breaks.